In January, the Fuerza Family Association (FFA) Equity and Social Justice Committee hosted a rich discussion group about the documentary 13TH by Director Ava DuVernay. 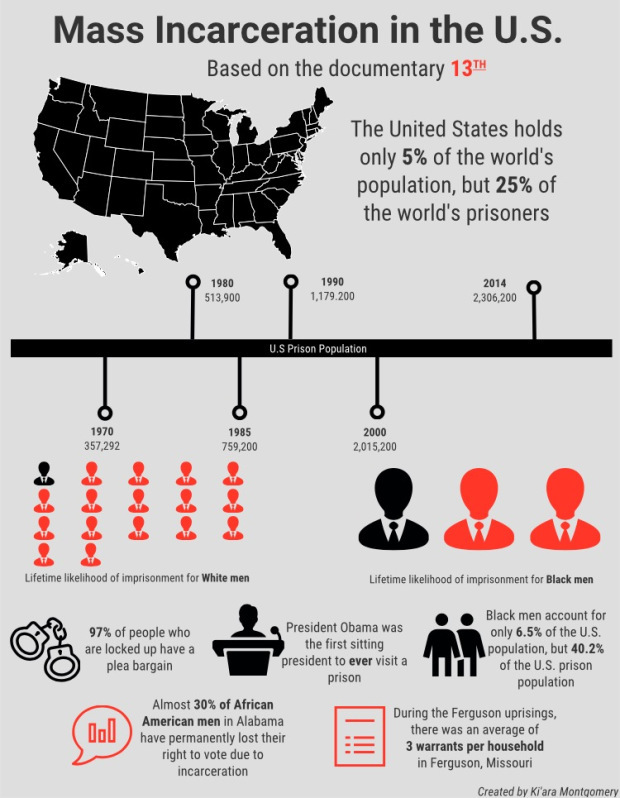 13TH powerfully chronicles the intersection of race, justice, and mass incarceration in our country. DuVernay masterfully weaves a brilliant collection of interviews with activists, intellectuals, and politicians who analyze the criminalization of African Americans and the US prison boom, and persuasively traces a bright line between slavery and our current system of mass incarceration. 13TH brought L-Dub parents together in a thoughtful dialogue about the film and the ways we are challenged to live out equity and justice daily. ESJ is starting a regular piece for all of us to share ways that our families are working on social justice. We encourage you to share your stories and examples, too! 13TH encouraged our family to dig deeper into our own story of inequity and struggle and to continue to understand the inequity in our community. 13TH compelled us to grieve, pray, gather and be part of making justice and peace with others. We continue to understand our own refugee and immigrant story as first, second, and third generation Chinese Americans. We continue to reflect on the trauma that the Chinese community faced during the first U.S. exclusion law passed by the 47th Congress, (Chinese Exclusion Act of 1882 was the first significant law restricting immigration into the United States. 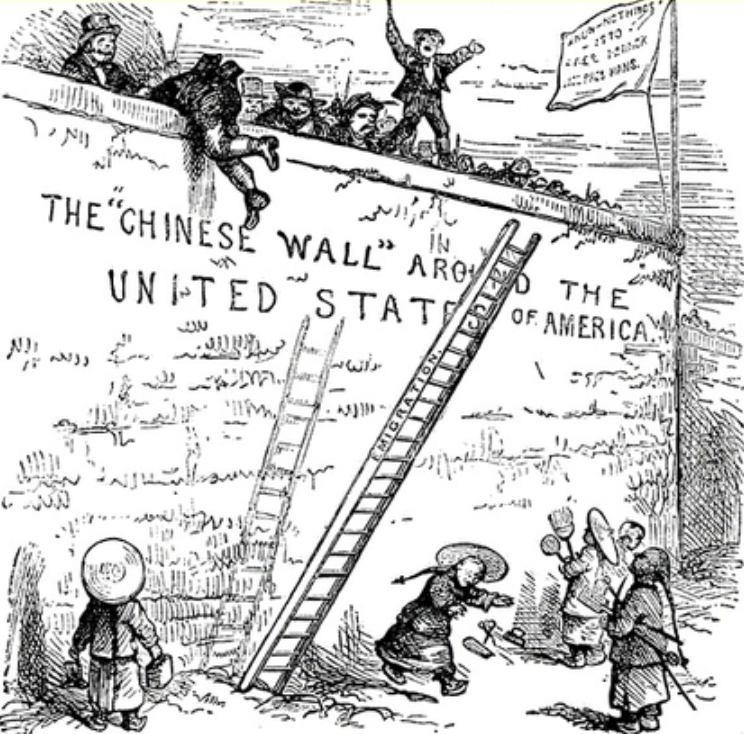 In the spring of 1882, the Chinese Exclusion Act was passed by Congress and signed by President Chester A. Arthur.) This act provided an absolute 10-year moratorium on Chinese labor immigration. implemented to prevent members of a specific ethnic group from immigrating to the United States. Knowing the history gives us a way to understand and grieve the generational pain and impact. We sit and wrestle with it all. We are connecting with a community that we don’t know very well. The Cambodian community is thriving and finding ways to build their community strength. So we’re finding ways to create and connect with them. We’ve connected with a King County organization, Choose 180, that transforms the lives of youth and young adults by partnering with institutional leaders, connecting them with community, empowering them with choice, and teaching them the skills necessary to avoid engagement with the criminal justice system. Also, we’ve joined a project through Solitary Gardens, connecting those who are incarcerated and in solitary confinement to pen pals.